If you have been wondering which car to buy to meet most of your daily requirements, then consider buying an SUV. SUVs have been proven to operate well in the severest road conditions. During heavy rain, snow, and other bad weather conditions, SUVs provide you with unmatched ability to navigate through mud, snow, floods and other obstacles that a driver can encounter on the road. If you have a big family, SUVs are the best suited to take everyone along for the ride in a single vehicle. An SUV helps you to haul your family comfortably, and still have plenty of room to pack suitcases in case you are going for a long journey or a trip. SUVS often have DVD players for the second-row seats to keep the little ones busy as you drive for hours peacefully. SUVs are also loaded with many safety features to make sure you and your family are safe today. 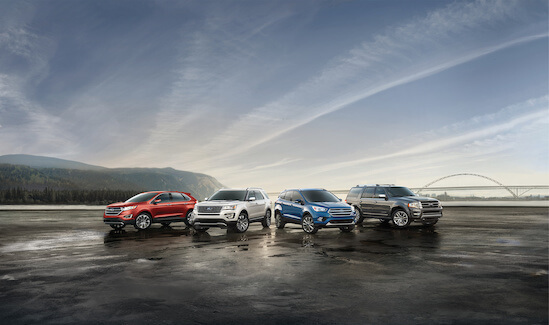 Visit Casey Jackson Ford to get yourself an SUV.